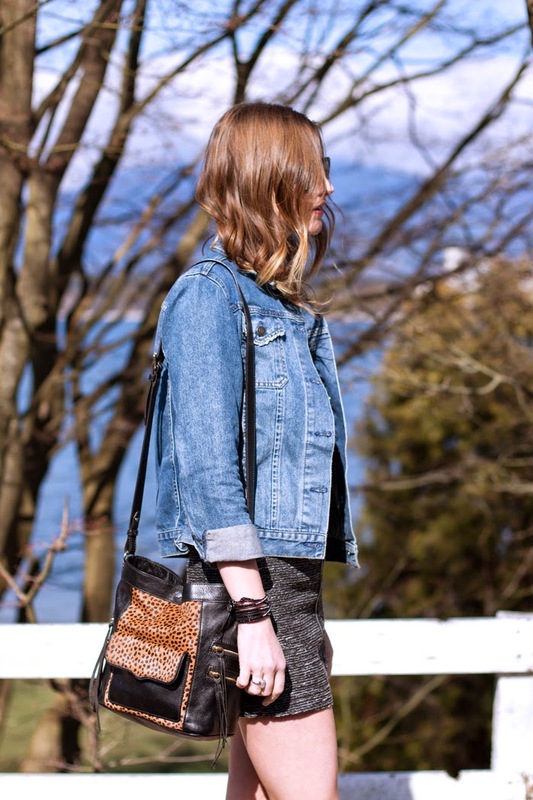 I can't believe I am so behind in my Vancouver Fashion Week posting! This is the last set of photos that I have from this season, although there was a seventh day as well. Make sure to check out the photos from it here! My feet were killing me by this day so I decided to go with my Isabel Marant sneakers to be casual and comfy. I was so happy with my choice because my feet didn't even bother me for one second on this day! Plus, it was so gorgeous out, I thought I would take advantage and wear a super short mini to give the legs some sun. In the end, it was absolutely freezing, but now that's all past history because today is soooo beautiful outside. I'm going to get some exercise and take as much advantage of this beautiful weather while I can! Make sure to check out the photos from the shows after the jump! This man knows how to make a seriously fun suit. 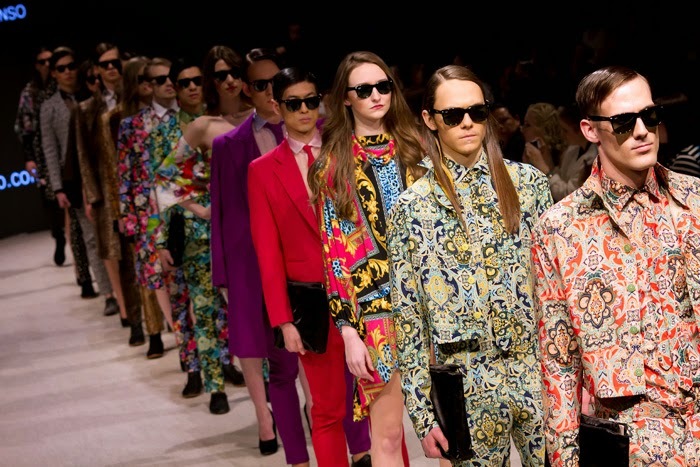 I loved the loud prints and so wish that every man dressed like this. Wouldn't the world be so much more fun like this? 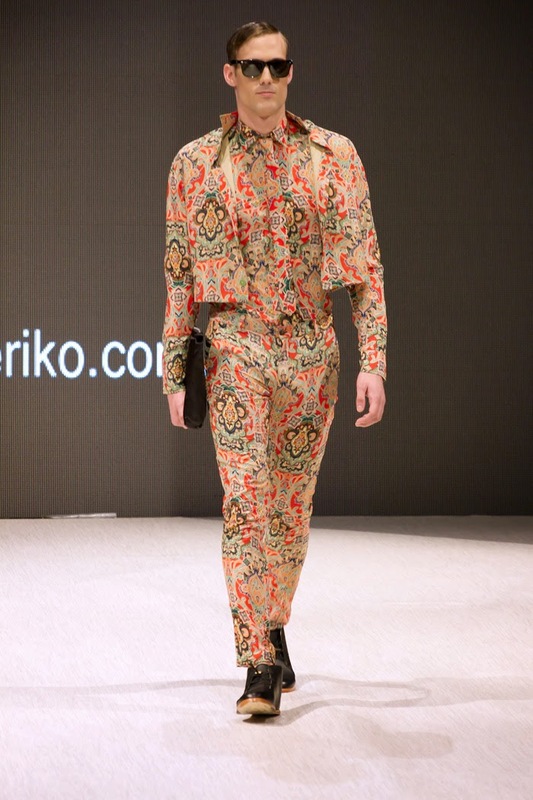 This was David Alfonso's very first collection and I really can't wait to see what he comes up with next. 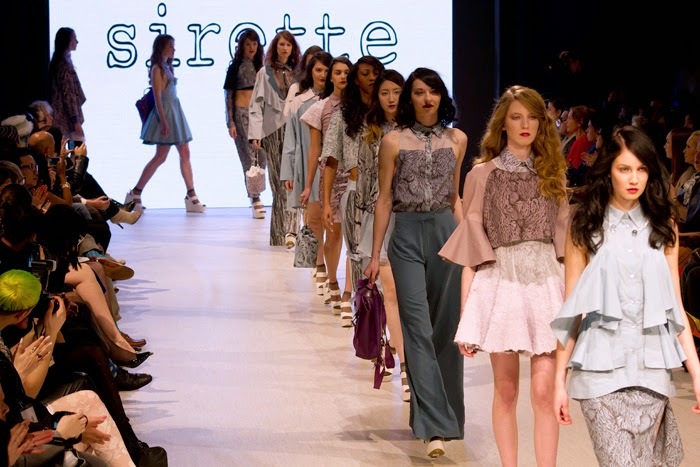 Adorable cute and flirty designs, Sirette showed us some amazing wide-legged pants, boxy crop tops and sheer cut-outs all in a beautiful pastel color palette. I wouldn't mind wearing this collection this spring! Beautiful clean and simple designs, I loved the jumpsuits and relaxed trousers. Kristie Metcalf designed a Scandinavian inspired collection in creams, dark burgundys and blacks. Perfect for a fall wardrobe on the west coast. 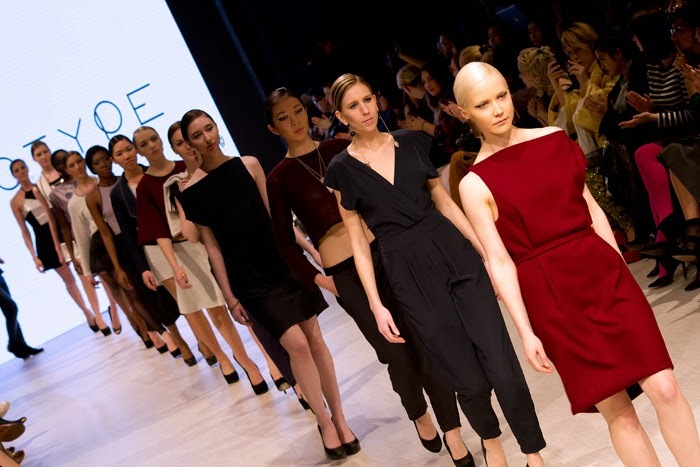 I love it when beautiful fashion can also bring awareness to an amazing cause. 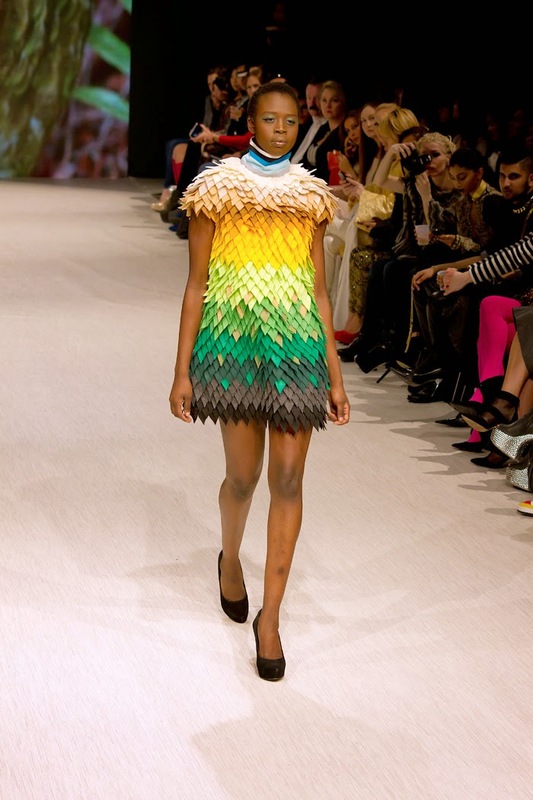 This collection was designed by finalists of Project Runway and each piece represents an endangered animal. This entire collection is made up of urban rainwear and really brought a smile to everyone's face. 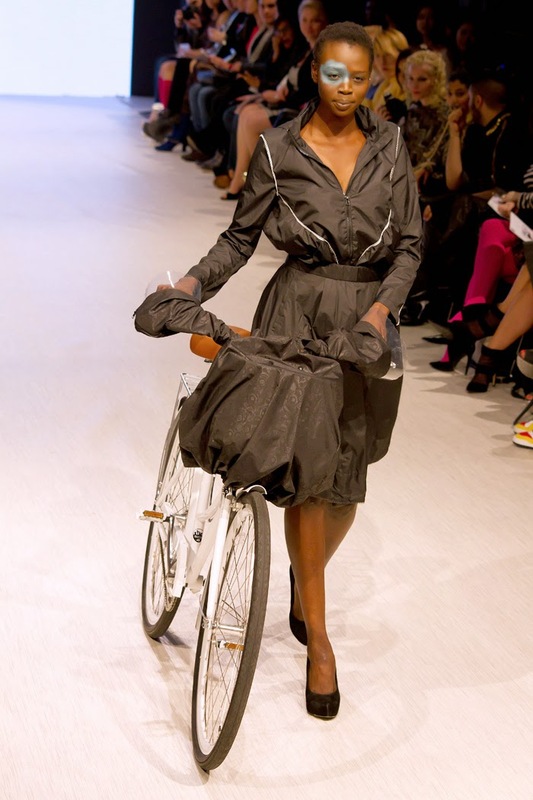 They opened with models riding down the runway on bikes in their rain gear -- it really couldn't get any more perfect for Vancouver. I just love the idea and I love when a show is as fun as this one. 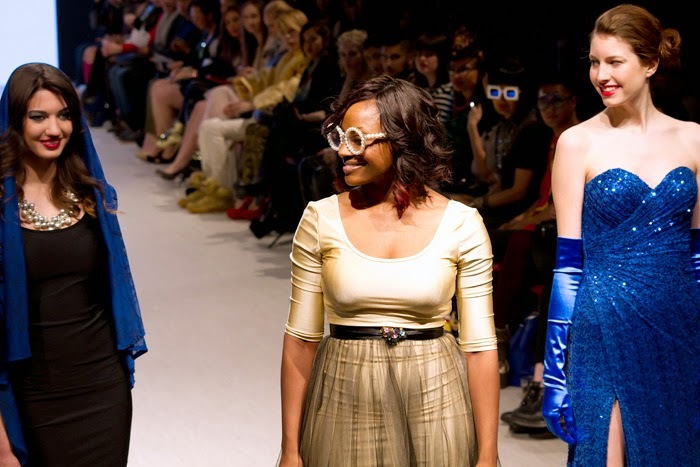 Kym hails from Hollywood and had a diverse range of pieces, from casual sweats worn with backpacks, to sparkly sequinned party dresses, to elegant evening gowns. She was one of my favorite interviews and is definitely a driven business woman. She admitted to finishing her collection in her hotel room in Vancouver the day of her show. Sounds like she's a risk taker as well! 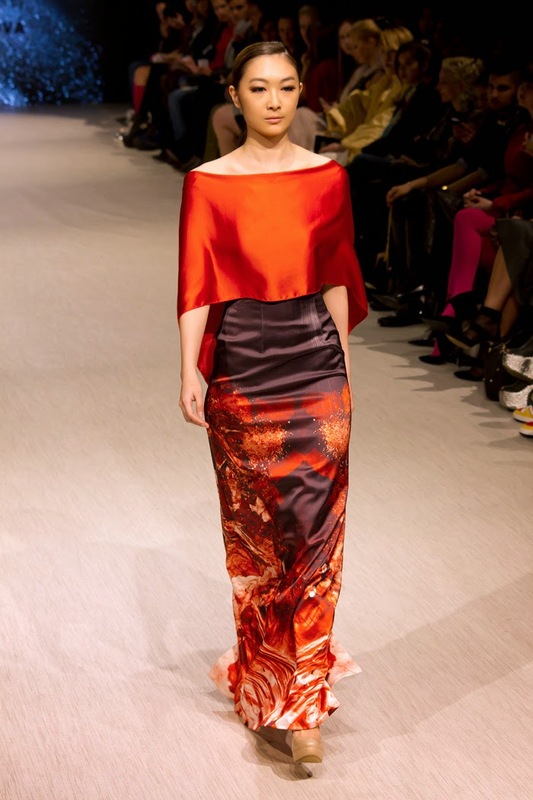 This collection was so beautiful in the way that the silky fabrics flowed down the runway. The entire collection was made up of white, black and orange -- she admitted that she always designs in these three colors alone. My favorite fabric was the white paint splattered silk. It turned a simple design into something so elegant and unique. 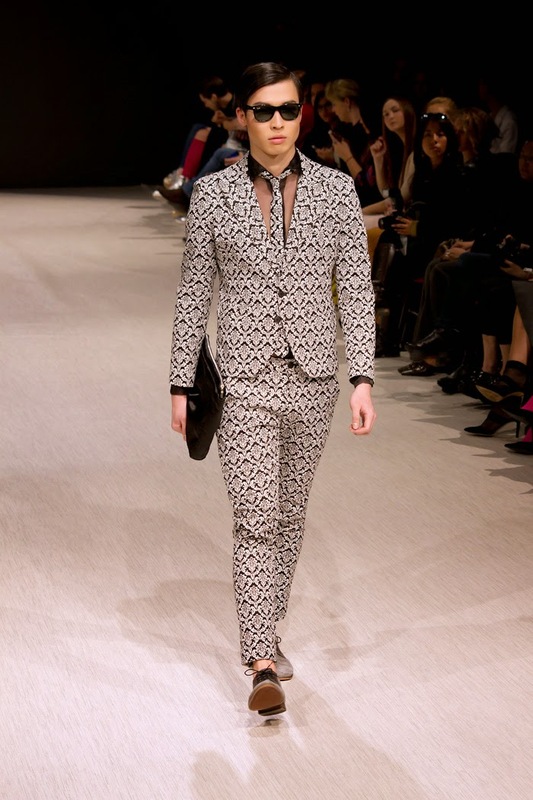 Pierre was one of the break-out stars of fashion week and I couldn't be any happier for him. He was the first designer that Lollie and I met this season and he truly is the sweetest man -- he even modeled in another designer's show that was short a male model! 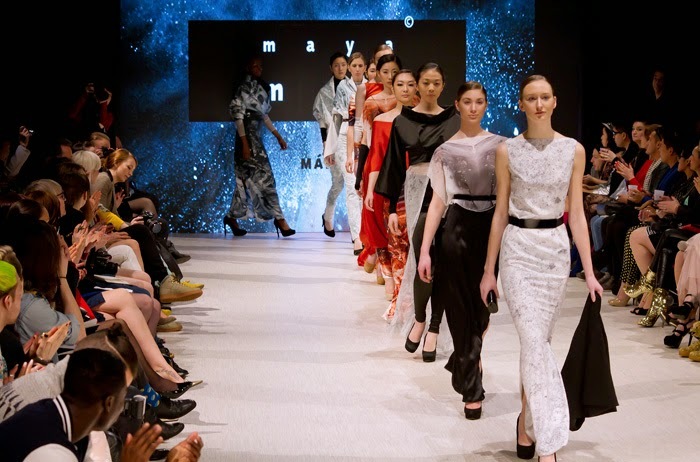 His designs were no less amazing and his avant-guard, futuristic style won the audience over. I can't wait to see what the future holds for him! Ipek descends from a long line of silk producers in Turkey and has carried on the tradition by incorporating these gorgeous fabrics into her designs, along with a leather and wool. She has a love for painting you can see this in her use of Ottoman motifs into her designs. Cute skirt ! I like the zipper detail in the front.